On July 10, 1952, the Eritrean Constitution was approved by the Assembly and Emperor Haile Selessaie ratified the Federal Act (the central core of UN resolution 390 V) which establishing the federation on September 11, 1952. The federation became formal with Ato Tedla Bairu as the chief executive of the Eritrean government. However, on September 30, 1952, Proclamation number 130 was issued by Emperor, declaring the federal Ethiopian court to be the territory's final court of appeal. This was in violation of Articles 85 and 90 of the Eritrean Constitution which was approved by the Assembly on July 10, 1952. On May 25, 1953, Omar Kadi, jurist , former President of the IML, and editor of the pro-unionist newspaper Andinet'nMe'belnaan/Union e Progresso(Union and Progress) was one of the few members of the Eritrean Assembly to lodge a letter of protest to the President of the Assembly. In October 1953, all parties, with the exception of the Unionist Party, made an appeal to the U.N., requesting this body to insure respect of the Federal Resolution. By 1953 “the more fanatic of the young Unionists, formerly of a ‘union or die’ attitude, have now changed their cry to’Federation or die, this was reported by British Police Commissioner of Eritrea, Colonel Cracknell, ( Bereketeab 2000:176). 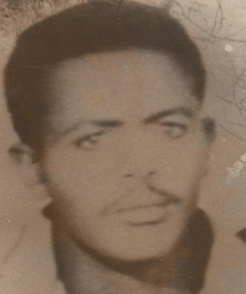 In 1954, Ato Tedla arrested Dedjazmatch Abraham Tessema, leader of the Liberal Unionist Party, while the leaders of the Eritrean labour union Ato Woldab Woldemariam was so harassed that he fled to Cairo. In August, 1955, the emperor replaced Ato Tedla Bairou with his own representatives, Asfeha Woldemichael. Bitweded Asfha Welde Mikael was the architect and engineer of ending the Federation and attaining Union between Ethiopia and Eritrea. Killon (1991:103), (Pateman 1990:68) also added that Tedla Bairu had expressed his disquiet over Ethiopia’s policy of depriving Eritreans of the human rights promised them in the Constitution Consequently the Ethiopian government realized that Ato Tedla Bairu was sympathetic towards the federalist government of Ethiopia’s illegal action, and he was forced to resign in 1955, and in the end he defected to the ELF in 1967. Human Rights Watch (1991:40) and Pateman (1990). According to Mengesteab (2005:40) "Idris Mohammed Adem took a group of Moslem lowlanders out of the Moslem League (ML) headed by Ibrahim Sultan Ali, because the League and its leader possessed progressive ideologies with which Idris Mohammed Adem disagreed. Having eliminated his group from the ML, Idris allied himself with the pro-Ethiopian Unionist Party. This opportunistic maneuvering enabled Idris to become president of the unionist dominant Eritrean parliament. Idris Mohammed Adem was president of Eritrean parliament from1955-1956. Ali Radia who was closed to Idris Mohammed and split from ML in 1950 along with Idris Mohammed Adem in favour of union with Ethiopia in the late 1940s was killed by the ELF in 1974 while Idris Mohammed Adem was in the ELF leadership. In 1955 a new constitution was proclaimed in Ethiopia, and one year later the Emperor extended to Eritrea the application of the principal clauses notably, the imposition of Amharic as the official language and the Ethiopianization of the Court system (Bimbi, 1982:179). Yohannes (1993:4) adds that in 1956 Ethiopia committed one of its gravest errors by attacking the cultural institutions of Eritrea when it abolished Tigrinya and Arabic as the official languages of the territory and replaced them with Amharic. All books in Tigrinya and Arabic, the official Eritrean languages guaranteed by the federal act, were burned. Amharic, the emperor's language, was substituted in the administration and in the schools. in 1957, Idris Mohammed Adem was also forced by the chief executive to resign due to implementation of an Electoral Law with the Chief Executive, Asfaha Wolde-Mikae’el. ( Patemen 1990: 72) in his book states that Article 45 of the Constitution stipulated the establishment of an independent commission to conduct the elections. This was never implemented. Idris Mohammed Adem was replaced by Melake Selam Dimetros G/Mariam - Staunch Pro-Unionist Figure who Helped Effect the Transition from Ethiopia-Eritrea Federation to Union. According to Yohannes (1993:7), in 1958, when Ethio- pian authorities lowered the Eritrean flag and introduced Ethiopian laws into Eritrea, the Eritrean workers went on general strike, precipitating a show- down with the Ethiopian army in which over 80 Eritrean workers were killed and over 500 more were wounded. He adds that as the working class in Eritrea persevered in its struggle, Ethiopia began to devitalise the Eritrean economy as a way of uprooting the basis of trade union- ism altogether. Foreign investment was discouraged and many companies were forced into either shutting down their operations or relocating in Ethiopia. After Idris Mohammed Adem was forced to resign from his post, in the spring of 1959, Idris Mohammed Adem went to exile with Ibrahim Sultan , eventhough he was split from ML in disagreement with Ibrahim Sultan and joined Unionist party in 1949. Acoording to Negash (1997:134) In the early 1959 Ibrahim Sultan escaped from Tessenei to the Sudan.He was joined by a group of ten to tewlve people, the most important of whom was Idris Mohammed Adem, the last president of the Eritrea Assembly. From mid 1950, the process of dismantling and undermining autonomy took much form. To mention a few in 1955 large numbers of Shoans came to occupy the federal offices in Asmara and Massawa, and Ethiopia continued the process of dismantling the Eritrean government apparatus and Amharic was made the national language of Eritrea 1956, which was also rejected by the UP. The Ethiopian government further escalated intimidation against outspoken members of the Eritrean Assembly for violation of federal laws. This angered the assembly members. During this period the Ethiopian government also banned trade unions, closed many Eritrean industries, Eritrean workers were transferred to the capital city of Ethiopia, Addis Ababa(Pateman, 990:17). On the other hand some Ethiopian settled in the Eritrean towns. Tedla Ugbit who supported the Pro-Ethiopian polices that led to Annexation, and his deputy, Goitom Gebrezghi, police Commander of Asmara, was instrumental in suppressing the 1958 General Strike. During the general strike and demonstrations of 1958 the British consul noted that the majority were Christian and that UP members were “mostly very anti-Ethiopia ( Pool, 2001:53). During the attempted coup of 1960, Mengistu Neway, leader of the coup communicated with General Tedla Uqbit requiring him to secure the borders as the military committee which he lead had decided to recognize Eritrea’s independence. But the Eritrean General rejected the offer and preferred to welcome the Emperor in Asmara, on his way from Sudan (Ali, 2007) . As a result of this, the coup was failed and the Emperor returned to the capital on December 17, 1960. Following the general strike on May 13 a repressive Labor Code was passed and the Confederation was outlawed. Since then the Ethiopian government began to suppress of basic political rights and civil liberties and it reached its peak after 1958. For example Bereketaeab (2000:173) provided additional the following examples: In 1954, a strike by dockworkers in Massawa and Assab against the introduction of a compulsory Federal Identity Card was suppressed by force, the 1958 peaceful general strike was also suppressed by force. The Voice of Eritrea newspaper was closed for publishing articles criticizing the violation of democratic rights and infringement of Eritrean autonomy with the imprisonment of the staff writers and arrest of newspaper editors. Between 1958 and 1962, the Ethiopian government never stopped violating the UN Resolution which had been ratified by the Empire on September 11, 1952. By replacing the Eritrean flag with the Ethiopian flag in 1958, the Eritrean Penal Code by the Ethiopian Penal code, by changing the name Eritrean Executive to Eritrean Administration, and the Chief Executive to Chief Administration. In May 1960 the Assembly changed the name of the government to « Eritrean Administration under Haile Selassie, Emperor of Ethiopia ». On the same year, the third Eritrean Assembly were held on September 5-7 1960 and the three Bitweded Asfha Welde Mikael, Melake Selam Dimetros G/Mariam and Sheikh Hamid Ferej Hamid as Chief Executive , President and Vice President . A week later 300-400 students went on strike in Asmera demanding the restoration of the Eritrea Flag, seal and arms, they were imprisoned. On 14 November 1962, the federal government was dissolved by the Ethiopian government in violation of UN 390(AV) Resolution. In this process, the Ethiopian Emperor Haile Sellassie used armed force to intimidate members of parliament and illegally abolished the federation, declaring Eritrea as another province of the Empire. Unfortunately, there was no reaction at all from the UN and the international communities, despite the statement of Dr. Mantienzo the chairman of the UN Commission on Eritrea in 1950. ቢትወደድ ኣስፍሃ ወልደሚካኤል መን እዮም? 8 ነሓሰ 1955 ኣስፍሃ መራሕ መንግስቲ ኤርትራ ኮይኖም ተመርጹ። እዚ ስልጣን እዚ ኣብቲ ቅድም ዝጸንሖም ምኽትል ምስሌነ ኢትዮጵያ ደሪቦም እዮም ተቐቢሎሞ። መራሕ መንግስቲ ኤርትራን ምኽትል ምስሌነ መንግስቲ ኢትዮጵያ ኣብ ኤርትራን። ኣብቲ ነዚ መዝነት እዚ ዝረኸብሉ መዓልቲ ኸኣ ነዚ ዝስዕብ ግልያዊ መንፈስ ዘንጸባርቕ ቃል ተዛረቡ፡ " ዋላኳ ኤርትራ ካብተን ካልኦት ኣውራጃታት ዝተፈልየ ምምሕዳር ይሃልዋ፡ እምበር ካብ ቤተ ሰብ ኢትዮጵያ ዝተፈልየትሲ ኣይኮነትን። ነቲ ናይ ንጉሰ ነገስትና ፍቕሪ ኣጽኒዕና ክንሕልዎ ይግብኣና። ኩሉ ኣብ ኢድ ቅዱስ ኣቦና ንጉሰ ንገስት እንተ ኣቐመጥናዮ ደኣ እምበር ባዕለይ እዚ ክገብር፡ እዚ ክፈጥር ምባል ከኣ ኣይጠቕመናን እዩ።"